I don’t know if many people read about pages, but if I were to sum up my life in 10 sentences or less I would say I’m a suriname born, business marketing addict who loves to salsa dance. 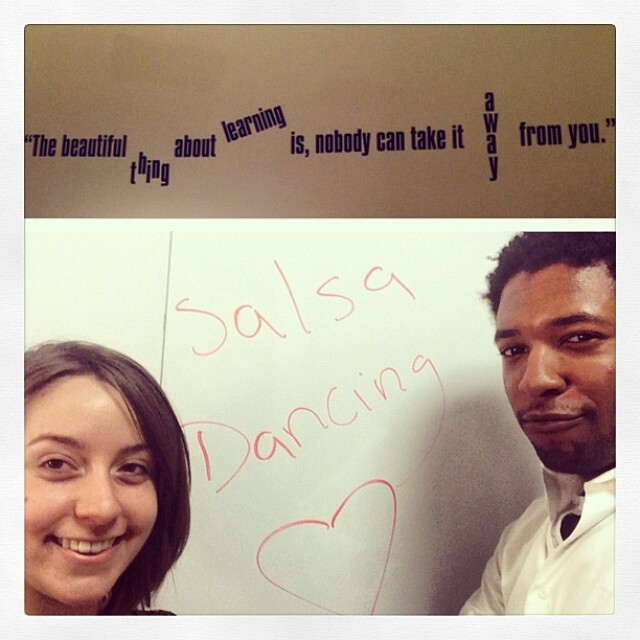 I started dancing salsa in 2008 at Boston University, and over the years I joined Rumba Y Timbal Dance company. Angela was my neighbor at Boston University on Bay State road and she dragged me along to an open house and ever since that day I’ve been swimming in Salsa. From dance technique, to musicality I practiced and danced 40 hours a week for almost 3 straight years. It seems like a blur because the time just flew past and after leaving Rumba Y Timbal in 2011 I always dreamed of having my own dance school. I’ve been preparing for this moment, and I’m grateful that you’re curios enough to read my self aggrandizing bio. Aggrandizing begins: I can dance with anyone, anywhere in the world and the only response I get from my partners is…”wow, you’re a great lead”… it’s undeniable, and I worked to be this good, and I have this pain in the rear feling in my chest that says I better teach all that I know before I die so here I am… Come say hi if you see me on the dance floor. but since you took the time to check me out… I’m a holistic health coach that started out as a singer, turned into a dancer, and as fate would have it now I work with women to overcome emotional eating, anxiety, weight, and challenges with low energy. I’ve been dancing for a while, and am in love with cuban movement. If we get a chance to talk you’ll immediately see my love for latin culture, the spanish language, and using movement to live a better life. That’s all I have to say for now, and see you on the dance floor.